Florida Eye Specialists & Cataract Institute cares about your vision health, so we’ve compiled this top ten list of eye health DON’TS for you. Use these tips as part of your eye care routine and reduce your risk of preventable vision loss. 1. DON’T rinse or store your contact lenses with tap water or homemade saline solution. Even purified tap water lacks the disinfectant properties of contact solution, leaving contact lens wearers vulnerable to harmful bacterial infections. Likewise, a homemade saline solution containing non-sterile water exposes the wearer to various microorganisms and puts your vision at risk. For the sake of your eye health, it’s always best to clean and store your lenses in contact solution only. We know that smoking increases the risk of cancer, stroke, and heart disease, but did you know that it can unfavorably affect your eye health, too? Smoking is linked to two major causes of vision loss — cataracts and macular degeneration. Research shows that it may be a risk factor for developing other vision problems. 3. DON’T overindulge in screen time. Most of us spend a large part of every workday staring at a computer screen. Then we come home and get in front of a television, laptop, or tablet. While device screens can’t harm our eyes, staring at them for hours without a break can contribute to eye strain. An easy solution is to follow the 20/20/20 rule: for every 20 minutes of screen time, take a break to look at an object 20 feet away for 20 seconds. 20/20/20 is the eye care equal of getting up from your desk to stretch your legs. 4. DON’T skimp on sun protection. On hot summer days, we use sunscreen and wide-brimmed hats to protect our skin from the sun. Our eyes deserve no less protection. 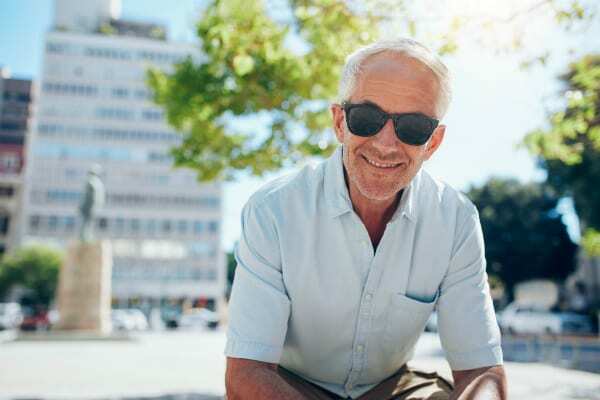 Prolonged exposure to the sun’s rays causes eye pain and can increase your risk of developing cataracts, eye growths, and even certain cancers. Protect yourself by wearing UV-blocking sunglasses on sunny days and never look directly at the sun. 5. DON’T put your eyes in harm’s way. One of the simplest and most commonly overlooked ways of avoiding eye injury is to always wear proper eye protection. Whether you’re on the job, working in the shop, or on the playing field, a protective mask or goggles can make the difference between continued eye health and possible vision loss. The extra effort is a small price to pay to preserve your vision. 6. DON’T be a slave to your sweet tooth. Everybody enjoys the occasional rich dessert, but a diet high in sugar can lead to obesity and cause conditions like diabetes, both of which are associated with vision loss. Maintaining a balanced diet should be a top priority for people with a family history of conditions like glaucoma and diabetic neuropathy. The future of your eye health may depend on it! 7. DON’T ignore your family history. Genetics play an important role in our eye health, and that means some of us are more liable to have serious vision problems than others. It’s essential to know your family eye history and share it with your ophthalmologist. While the reality of an inherited vision problem can be frightening, you have a better chance of beating the odds if you and your doctor know the whole history. 8. DON’T skip your eye exam. If you have perfect vision, it can be tempting to save time and money by skipping regular eye exams. But even if you aren’t currently experiencing vision problems, many eye diseases can come on suddenly and accelerate quickly with few early warning signs. Annual comprehensive eye exams are key to identifying these conditions. 9. DON’T overlook simple hygiene. You should always wash your hands fully with antibacterial soap before putting in or removing contact lenses, or touching your eyes for any reason. This simple extra step helps slash your risk of developing an eye infection. 10. DON’T hedge your bets. If you experience vision symptoms (eye pain, redness, blurred vision, floaters, flashing lights, or sudden vision loss in one or both eyes) or if you have sustained an eye injury, make an appointment with your ophthalmologist as soon as possible. Some forms of vision loss are not reversible, so early detection and intervention are key to preserving your sight. This article is for information purposes only, and the information contained here should not be considered a substitute for professional eye care. If you have any questions or wish to schedule an exam, please contact us at Florida Eye Specialists & Cataract Institute.